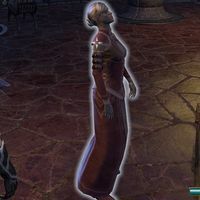 Vindamea Redoran is a Dunmer noble of House Redoran who can be found in Saint Delyn Plaza in Vivec City. She cannot be talked to. This page was last modified on 2 March 2019, at 08:33.